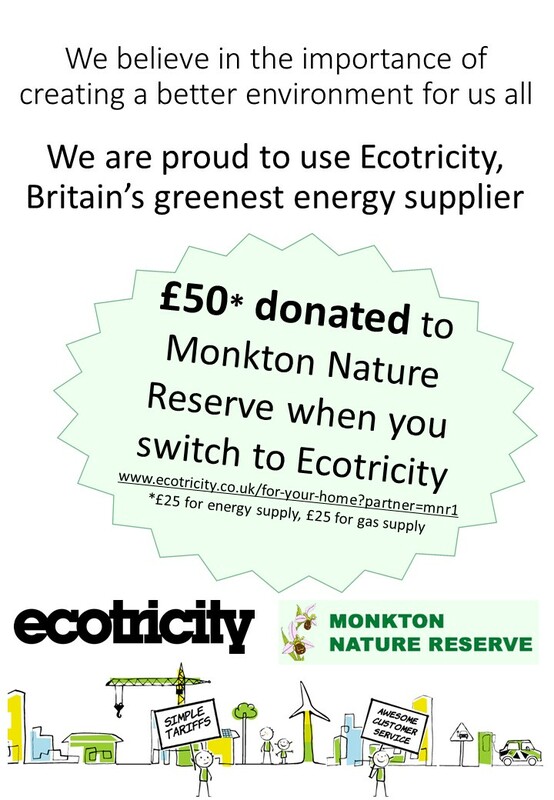 Monkton Nature Reserve gets its mains electricity from Ecotricity, Britain’s greenest energy provider. 100% of the electricity provided by Ecotricity is generated from renewable sources. The gas they provide is currently 12% green, but this percentage will grow as they build their own green gasmills. Their gas is guaranteed frack-free. Ecotricity is recommended by Friends of the Earth, the RSPB and The Vegan Society, among others. And, Ecotricity operate an ethical pricing policy, meaning you are always on their latest best price. Now, Thanet Countryside Trust has set up a partnership whereby Ecotricity will make donations to Monkton Nature Reserve if you switch to them from your current provider. Ecotricity will donate £25 to the Reserve if you switch to their electricity tariff and £25 if you switch to their gas tariff. Switch to both electricity and gas tariffs for a total of a £50 donation to the Reserve! Furthermore, for each year you continue to have a supply from Ecotricity, they will donate a further £25. 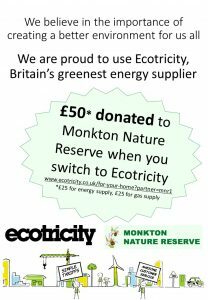 If you wish to find out more about Ecotricity, and how switching to them will help the environment and support Monkton Nature Reserve, you can follow this link to our Ecotricity Offer page.